Hertha have had plenty to celebrate - including a recent win against Borussia Dortmund - at the Olympiastadion. The opening sequence of the recent Oscar winner La La Land features an epic, celebratory dance sequence that was matched here at Bundesliga towers this week when we scanned through the fixtures contained in what's certain to be an exhilarating Matchday 26. Is your Official Fantasy Bundesliga team in shape ahead of Matchday 26? Head here to make your transfers! It's unlikely to feature in Hertha Berlin coach Pal Dardai's team talk, but with one iconic capital venue already successfully infiltrated this week, the Hungarian tactician may be extra wary of Hoffenheim's visit to the fortress that is the Olympiastadion. A stunning heist at Berlin’s Bode Museum left police dumbfounded as to how raiders made off with a Canadian gold coin worth €1 million on Monday. The local authorities won't need to be involved should Hoffenheim swipe all three points from their visit to Berlin on Matchday 26, but fans of the Old Lady will no doubt be left just as perplexed as to how Julian Nagelsmann's outfit did it. Watch: Avid fans clock up the miles in search of that special Hertha feeling. Hertha are top of the 'home standings' having won ten of their 12 Bundesliga games in Berlin this term, Die Alte Dame picking up more than three times as many points in the German capital  than on their travels . 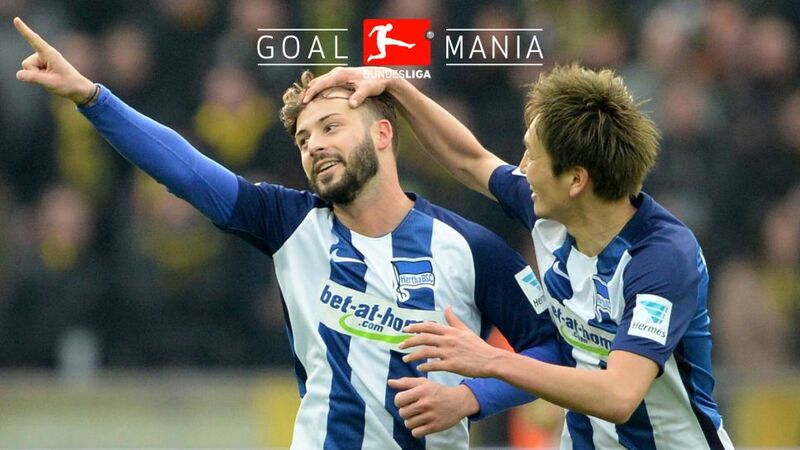 When Hertha raided Stuttgart for striker Vedad Ibisevic back in 2015, they were snatching Hoffenheim's second highest-ever goalscorer, the Bosnian scoring 45 goals in 92 league games for Die Kraichgauer between 2007 and 2012. Of Ibisevic's eleven Bundesliga goals this term, seven have come at home. Follow this link for the Hertha vs. Hoffenheim Match Centre! Yet if Nagelsmann is to inspire his [Ocean's] eleven to capture the spoils, Hertha will not be able to say they hadn't been warned. Striker Sandro Wagner can provide the perfect inside knowledge having previously played 71 league games for the Berliners between 2012 and 2015. Hoffenheim's biggest Bundesliga win [5-0] came away at Hertha in December 2014 while Friday's visitors have won four of their last five games against Pal Dardai's team. Unbeaten in their last five and having already equalled their highest points total for Bundesliga season , Hoffenheim will need to be placed under close scrutiny by the hosts. Elsewhere this week, 'Made in Germany' was listed as the most positively-viewed of all the 'Made in …' country brands the world over. As home to the best league in the world, we won’'t argue with research group Statista's findings, but we would certainly imagine 'Made in Poland' ranks right up there for producing Robert Lewandowski. The prolific striker – who has 21 Bundesliga goals this term – faces one of his favourite opponents on Saturday when Bayern Munich host FC Augsburg. Lewy has registered 13 goals in eleven games against Bayern's Bavarian rivals and will hope to add to that tally on Saturday to keep up with Pierre-Emerick Aubameyang [on 23 goals] and Anthony Modeste  in the race to win the Torjägerkanone. The Bayern behemoth is barrelling ahead at the top of the table with Carlo Ancelotti's charges now unbeaten in their last 17 home games in the Bundesliga, a run that stretches back over a year. Indeed, with a record reading just two losses in 48 top-flight games at the Allianz Arena, it perhaps wouldn't be considered crass to cast a worrying glance Augsburg's way. Until you discover that Manuel Baum's men were responsible for one of those defeats: Raul Bobadilla scoring in a 1-0 win for the visitors on 9 May 2015. And finally, it appears several teams in the lower reaches of the Bundesliga table are living by the German proverb, Aus Schaden wird man klug, which could be translated as, 'You learn from your mistakes,' or 'adversity is the mother of wisdom.' For how else can the resurgence of teams like Hamburg, Werder Bremen or Wolfsburg be explained? Each side has weighed in with some impressive stats in recent weeks to help contribute to what is turning out to be an absorbing relegation battle. Werder – away to SC Freiburg this weekend - have taken 13 of a possible 15 points to climb to a season-best 13th place in the standings. Bottom of the pile at one point, HSV have lost just one of their last eight, are fifth in the Rückrunde table and – if many results go their way this weekend – could climb to 12th should they beat Cologne. Meanwhile, Wolfsburg would leapfrog their 12th-placed opponents Bayer Leverkusen if coach Andries Jonker – still unbeaten in eight Bundesliga matches in charge of Bayern and the Wolves – can mastermind an away win on Sunday. Indeed, the only time Wolfsburg managed a victory at the BayArena, a spectacular contest on Valentine's Day in 2015 ended 4-5! Now there's one to raise the pulse ahead of a welcome return to Bundesliga action.